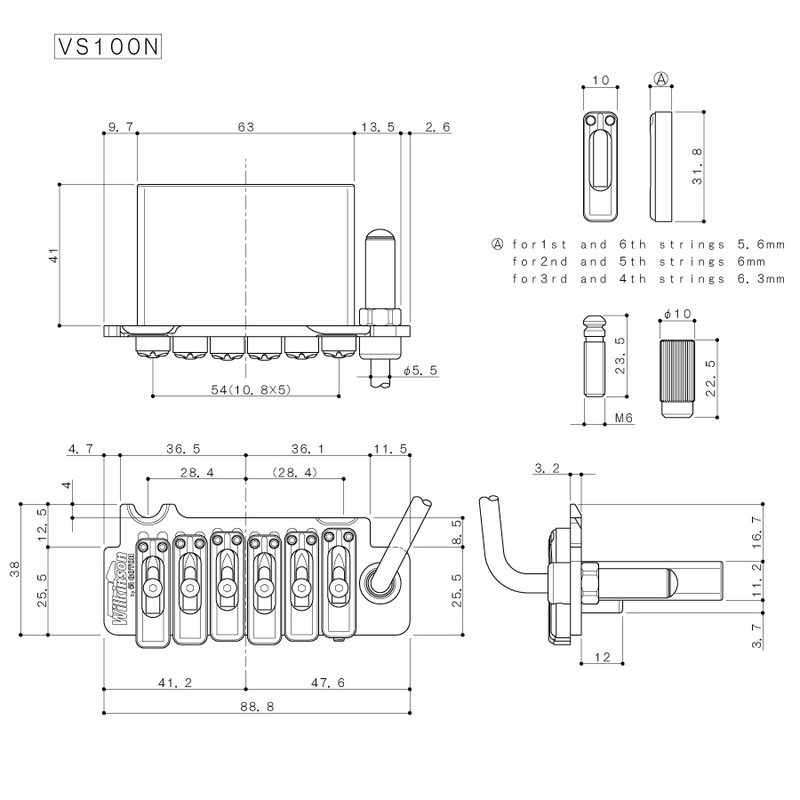 Officially licensed to Gotoh by Wilkinson. A unique, high quality tremolo with saddles that lock to a hardened steel top plate for better tuning stability, string energy transfer and sustain. 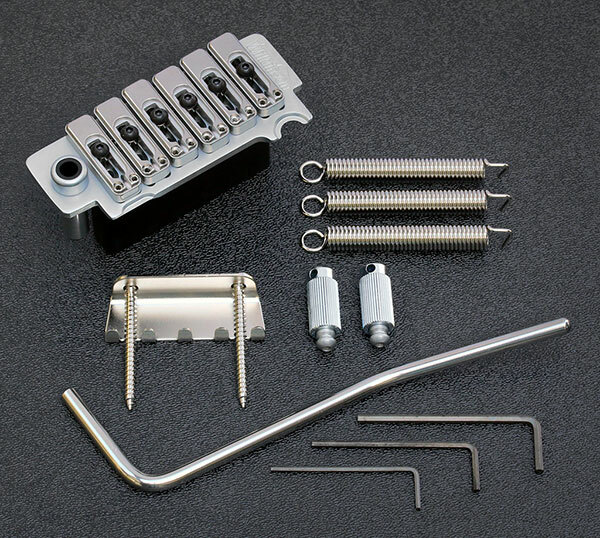 This tremolo bridge assembly fits American Standard Strat® guitars without modifications. 2-1/8" (53.97mm) string spread, 2-3/16" (55.56mm) center-to-center stud spacing. Drill 3/8" (10mm) diameter holes for bushings.